This fast selling captivating vintage long sleeve wedding dress catches the light in so many gorgeous ways, from the crystal-beaded waistband to the jeweled buttons down the illusion back, to the sparkling sequin lace appliques on the skirt. 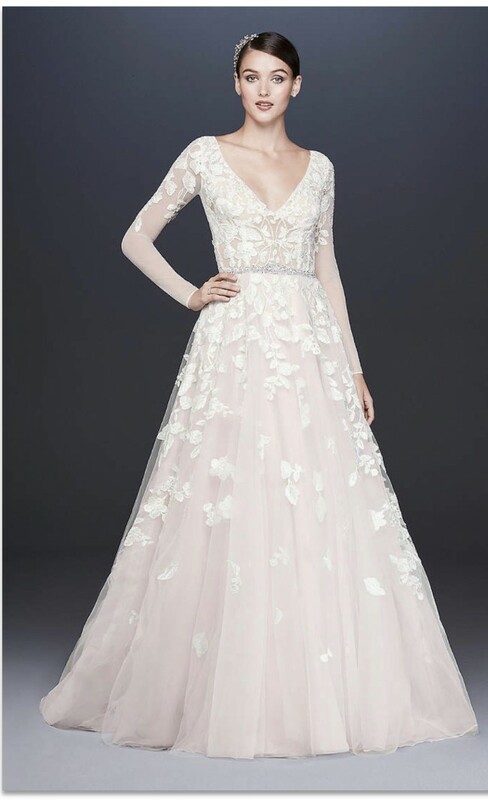 Adding to the drama are a plunging illusion bodice with visible corsetry and a pink-tinted underskirt that gives your wedding look a coy hint of color. Flattering on all shapes & sizes. Once you send a message, Shayla can invite you to purchase the dress.